There are so many ways to mail—first class, marketing mail (presort standard), non-profit, parcel, priority, and package, certified mail and more. Keeping a clean mailing list, and being aware of the United States Postal Regulations is a major advantage. Knowing and understanding these regulations can help lower postage costs and also better target your audience. 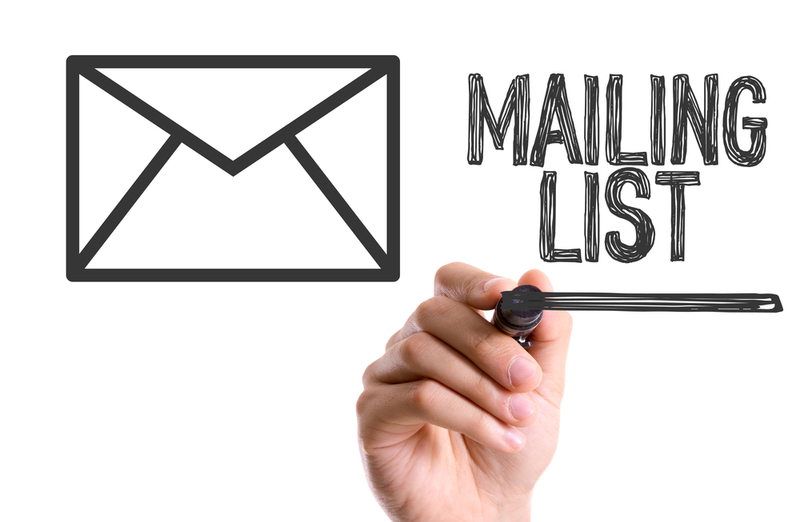 One of the most important things that you can do is to get that mailing list clean and updated! The task may seem daunting at first, but a clean list means improved delivery performance and less returned mail. Regular cleaning of your list is key. If possible, keep a database of your customers and prospects along with their updated addresses. The most efficient way to do this is to run your list through NCOA—National Change of Address. This service updates the addresses for anyone who has moved and registered a forwarding address with the USPS. It is important at this point to update your list with NCOA moves. It will also provide you with a report of anyone on your original list that has moved and not left a forwarding address. You have the choice at this point not to mail to that address. Since it is important to create a database with your best audience, it is also a great idea to keep a suppression file. This file removes data from your list and it can consist of current customers, people who have requested to be removed from your mail list, non-active customers and many more. In addition, make sure that there are no duplicates. There is nothing more annoying to your customer or prospect than to receive two or three pieces in the mail from the same company. It also means you are paying postage for all of those duplicates being mailed out. You can run a dupe report and make sure you only mail one piece of mail per person, or per household. Using a USPS approved direct mail company to help facilitate postal automation in presorting your mail will give you postal discounts. In addition, barcoding and presorting expedite mail delivery. Partnering with a direct mail company that uses postal logistics software is a necessity. One of the most important things that you can do to make the postal automation process smoother is to stay up-to-date on USPS regulations. This is in regard to size, weight, folding, addressing etc. . Using the USPS website helps in following regulations. In addition, ask your direct mail provider how they stay up to date with regulations. Since there are so many of them, taking the time to do things right is truly going to makes a big difference. Don’t have the time to worry about your mailing list and the best way to get your pieces to their final destination? Our team at Kirkwood Direct specializes in this! Contact us today at 978-642-0300 to learn more. The goal is to achieve the best effective results with your mailing.